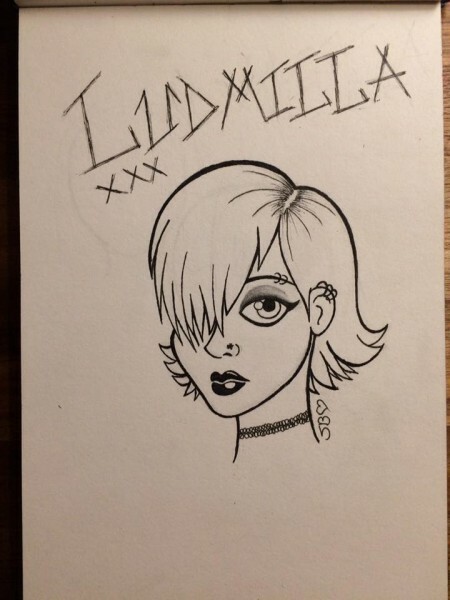 #2 Draw a name; Ludmilla a singer in a punkband that loves pickled gurkins. #3A feeling you know; Keeping your tears inside when you want to cry. 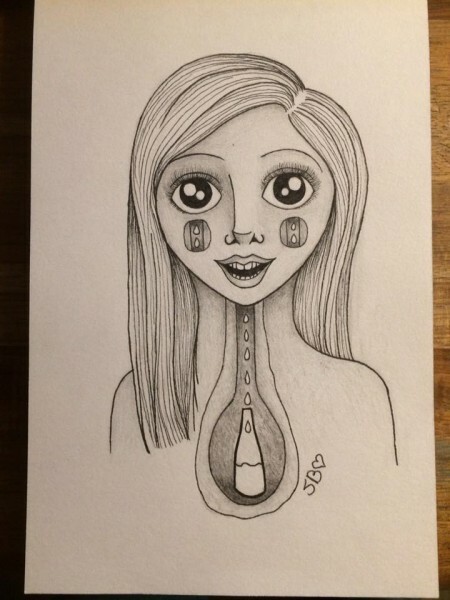 Wow...she has such talent!! These are so awesome!! I'm so amazed every time you post these! Sarah is absolutely incredible! I am too. 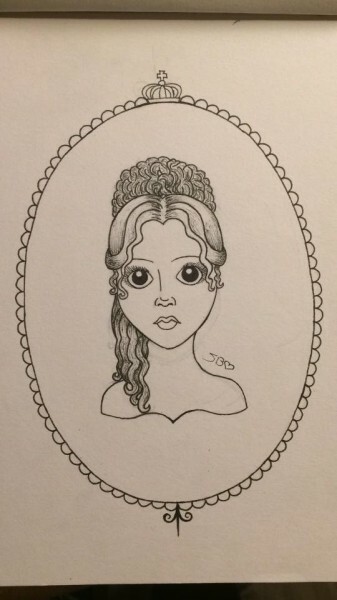 I think she would like to do illustrations at some point when she get older, as more than a hobby. She was so happy and pleased about the response you gave her on her review.. I hope she can. She is amazingly talented! I'm sure she will be able to have a hugely successful career in doing this! Aw, thank you! I appreciated her review so much, it meant so much to me that she had liked the book and taken so much time to write such a lovely review too! It really made me smile so so much! Thank you Honey I´ll let her know. She just told me she had a book she had to read for school, but then she would star"Afterlife Academy"
I am sure she`ll love it like I did. Ohh I will, she is so proud that you liked her review, it is great for her confidence. I am planning on giving her "Kismetology" for Christmas..